Lucie Greene, Worldwide Director of Innovation at J. Walter Thompson, recently published her Generation Z trend report, which includes more than 70 pages of research, analysis, and brand examples offering insights as to where our culture is headed and how to best reach our newest generation of consumers. 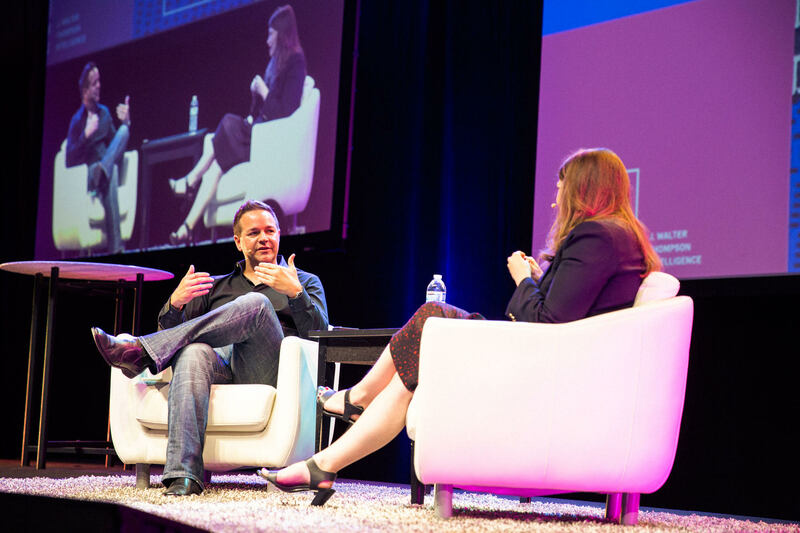 During Interactive Day 2015’s keynote, Mindgruve’s CEO, Chad Robley, had the chance to talk with Lucie about what Gen Z means for the future of digital marketing. This cohort was born in the mid-1990s to the early 2000s, making up a quarter of the population in the US and the UK—and they are changing the way brands are marketing themselves. They are progressive, driven, sensible and the first truly digitally native group we’ve seen. Gen Z are activists for equality in race, gender, and sexuality, and their entrepreneurial mindset makes them agents of change. What platforms are Gen Z’rs using? Generation Z is always connected through technology, but also worries about how much time they spend attached to their devices. According to Lucie Greene, there is no “online” and “offline.” Technology has become a day-to-day process, as “the Internet” has become but a mere utility. Unlike Millennials, Gen Z uses less Facebook and more Yik Yak (a sharing app based on total privacy). They watch less TV and more YouTube for its vast amount of content and limited commercials. Though they are not exactly impatient, they’re not used to waiting. Television can be both time consuming and distracting from everything else they have on their plates. To reach them, brands must use platforms that serve to create something or solve a societal problem, which touches on that selfless trait that characterizes Gen Z. What are the implications of Generation Z for brands? Gen Z represents over $44 billion in annual purchasing power, and for that reason among others, our economy and consumer culture is in their hands. A big takeaway is to be transparent, because Gen Z is “brand-wary”. They look to blogs, social media and friends for information to help them make purchasing decisions. “If you’re trying to create branded content, you have to be selfless in your creation of it, so that the brand becomes discovered,” Greene says. Don’t try to find them; let them find you. Generation Z wants technology to have actual value. If they are going to use it, there must be a purpose and meaning. Greene believes this new generation will respond more positively to informative advertising. False promises will be detected easily. This group will not aimlessly spend their time on ideas and concepts that cannot produce the intended effect. Brands should aim to have a positive impact on the world and should actively find ways to join Generation Z’s desire to enforce change. Brands can foster this by finding niches in trends, discovering new inspirations and staying away from the expected mainstream.